Holy Eucharist: What does Eucharist mean? Eucharist is the term Episcopalians use for Holy Communion. Eucharist means thanksgiving, and the Holy Eucharist is a Feast of Thanksgiving. During the Eucharist we express our gratitude for and remembrance of the love of God for us expressed in the life, death, and resurrection of Jesus Christ, and we receive many spiritual benefits, such as forgiveness, strengthening of our relationship with Christ and with one another, and spiritual nourishment. Communion: Who may receive Communion at St. John’s? 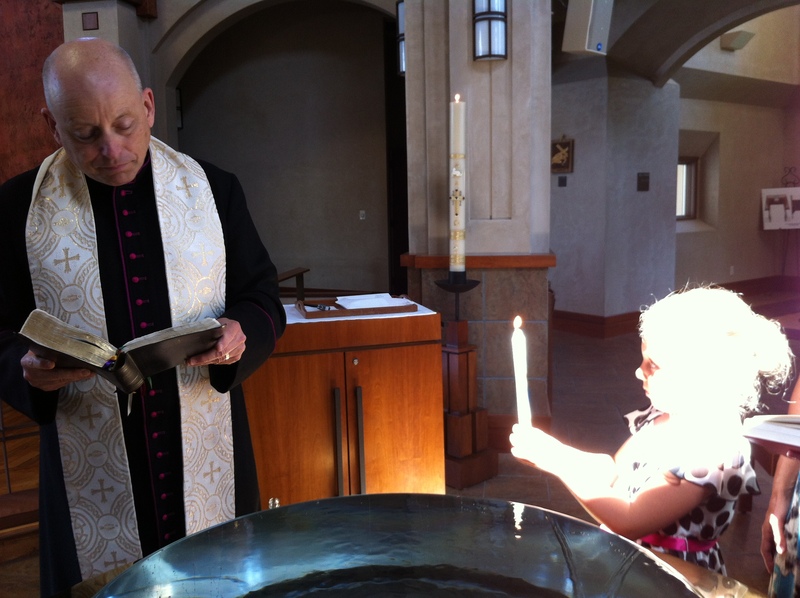 All baptized Christians are welcome to receive Holy Communion in any Episcopal Church. You need not be an Episcopalian. Because some denominations do not permit their members to receive Holy Communion in churches outside of their denomination, you should check with your own pastor if you are uncertain. Communion: Do you use wine or grape juice? We use wine. If you wish, allow the chalice bearer to “intinct” (dip) the Communion wafer into a small amount of wine, and not to drink from the cup. Those who want to receive bread but not wine simply cross their arms in front of their chests after they receive the bread, and may by-pass the cup of wine altogether. 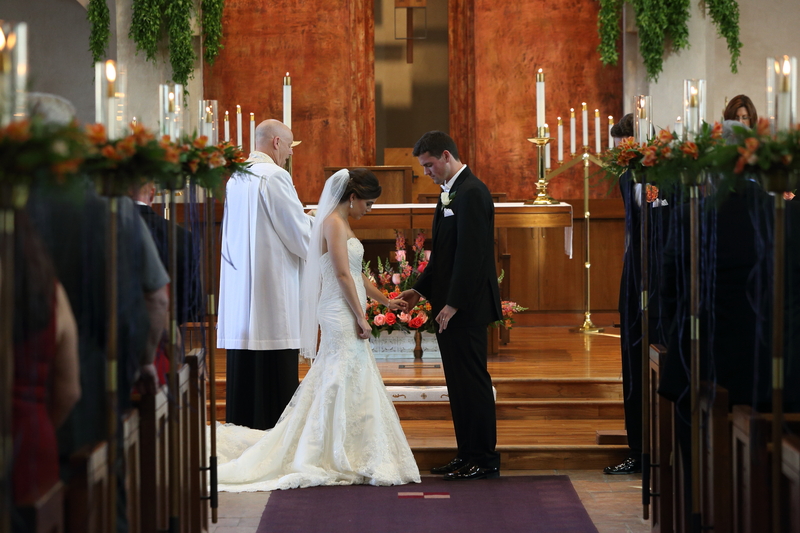 Weddings: How can I have my Wedding at St. John Chrysostom Episcopal Church? 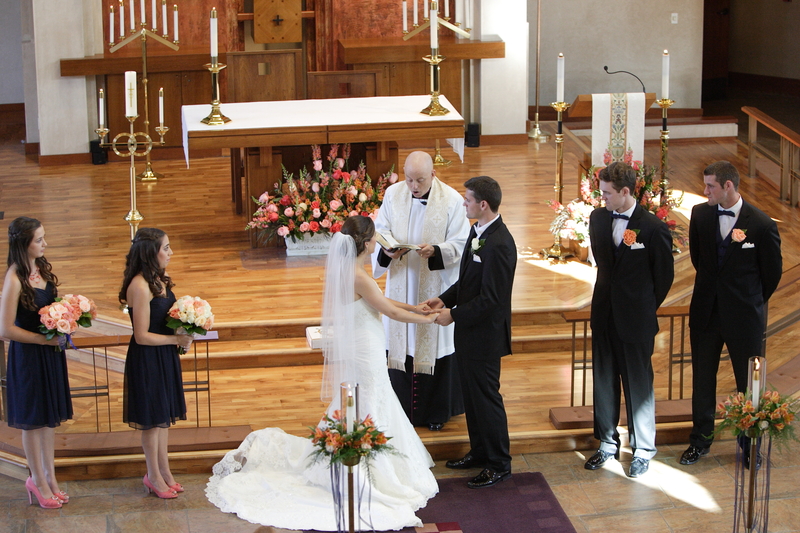 In the Episcopal Church, the Sacrament of the Solemnization of Matrimony is one of the most important steps in human life. 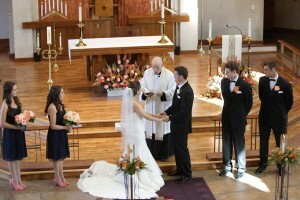 May God bless both of you in all your deliberations as you plan a wedding day worthy of your commitment to one another. Please click “A Guide to Weddings at St. John’s” to download our wedding pamphlet. Then, please contact the church office,  888-4595, x206, to begin the process. Thank you, and may God bless you as your prepare for your marriage! 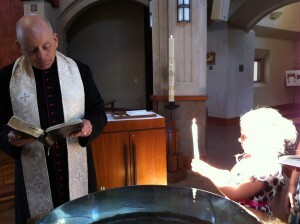 Baptism: Do you offer child baptism and adult baptism? Holy Baptism: “Holy Baptism is full initiation by water and the Holy Spirit into Christ’s Body, the Church” (Book of Common Prayer, p. 298). We offer baptism for infants, children and adults. For more information, please click here to contact Cynthia Drennan in the Church Office. Confirmation: Do you offer Adult Confirmation? Each year we provide classes to assist people new to the Episcopal Church and adults who are ready to reaffirm their Baptismal covenant formally through the Sacrament of Confirmation. Classes include a study of the Sacraments, exploration of the Book of Common Prayer, Anglican History and Episcopal Church Polity (government). Youth Confirmation: Do you offer youth Confirmation? Annually, youth of St. John’s in grades 9 and higher are invited to become candidates for Confirmation in the Episcopal Church. Candidates for Confirmation are paired with an adult mentor and together they embark on a nine lesson program called Keeping the Promise. Funerals: How do I find more information about funerals?